Your complete video toolbox: download, convert, edit, burn, transfer videos and more. Fast, secure & legally binding electronic document signing platform. Enjoy Your Favorite Music Without iTunes. Transfer and Manage Music, Photos and More With Ease. Have an old Nokia phone, like Nokia 2720a-z , for a long time, and now buy a brand new Samsung device, for example, Galaxy S6 Edge? Unfortunately, all your contacts are trapped on your old Nokia phone. You have to transfer contacts from Nokia to Samsung Galaxy S, so you can share your new phone with your friends. In this article, I recommend you two easy solutions to make it. Transfer contacts from Nokia to Samsung Galaxy easily! Transfer contacts from Nokia to Samsung Galaxy S/Note with comprehensive contact info. 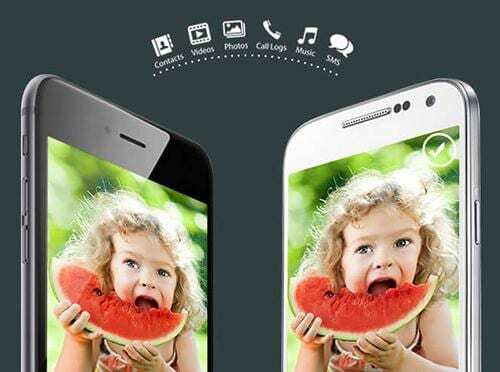 Besides contacts, it copies SMS, music, photos and music from Nokia to Samsung Galaxy. Compatible with Samsung S6 Edge, S6, S5, S4, S3, Note 4, Note 3 and more and Nokia Symbian phones. 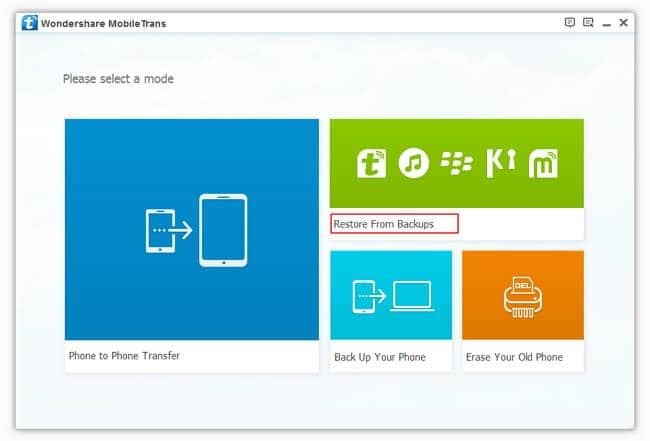 Manage your Samsung galaxy S6/5/S4/S3 and more after transfer. First of all, download and install Wondershare MobileTrans on your computer. Then you'll see the main window of the program as follows. To transfer data from Nokia to Samsung Galaxy S or Note, you need to choose the option of "Phone to Phone Transfer" on the left side. Then use a USB cable to connect your Android phone or tablet to the computer. When your phones are detected by the computer, you'll see the following window. You can use the "Flip" button to set up the source and the destination devices. Make sure the Nokia phone is the source one (on the left). Then you can selectively choose the file type that you want to transfer from Nokia to Samsung. Just check the box in front of the file type. By default, all data you can transfer are ticked. You can also remove the marks before any content you don't like to transfer. 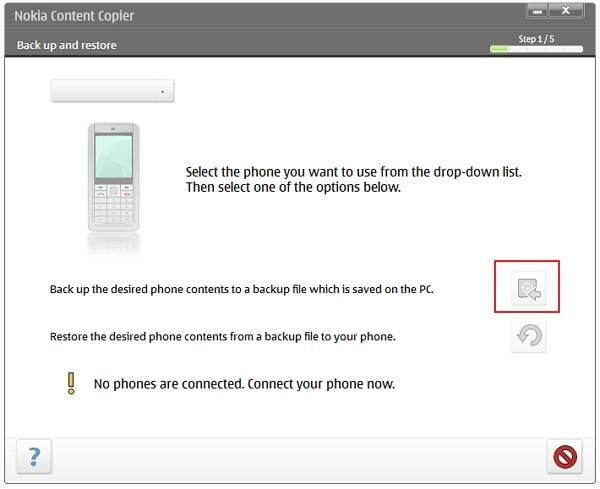 If you want to erase all data on the Nokia phone, you can do it together by checking "Clear data before copy". Then, click "Start Copy". A dialog comes out, telling you the percentage of the progress bar. Keep your both devices connected until the transfer is finished. Samsung Smart Switch is specially designed by Samsung company, used to transfer data from iPhone, Nokia phone, BlackBerry phone and Android phone to Samsung Galaxy devices. 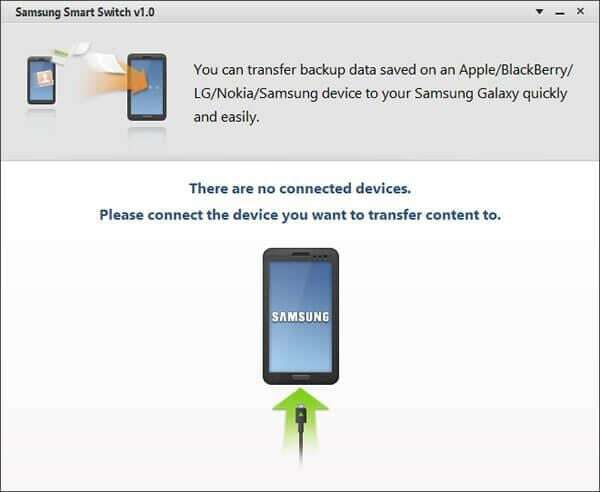 Thus, if you have backed up your old Nokia phone with Nokia PC Suite, you can use Samsung Smart Switch to extract the backup and transfer data to your Galaxy S3/S5/S4/Note 4. Download Nokia PC Suite and install on the computer. Connect your Nokia phone to the computer via USB cable, Bluetooth and Infrared. After connected, use Nokia PC Suite to backup contacts on your Nokia phone. Besides contacts, you can also backup calendars, notes, bookmarks, text messages, settings and more. 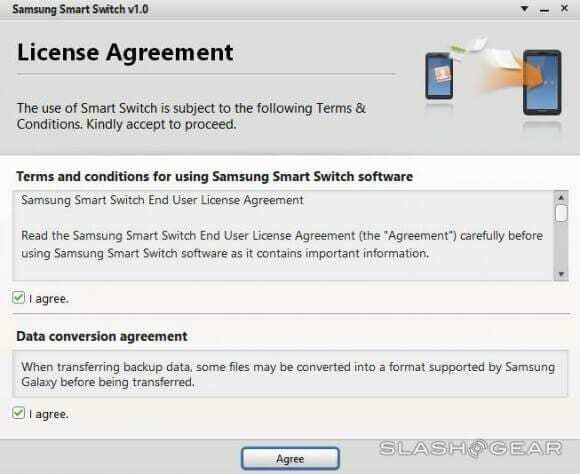 Go to Samsung official website and download Samsung Smart Switch. You don't need to install it. Just run it and connect your Samsung Galaxy device, like Samsung S3/S5/S4/Note 4, to computer with a USB cable. In the primary window, choose Nokia and click Next. All data in the Nokia backup will be shown. Tick contacts and click Go to Start to transfer Nokia contacts to your Samsung Galaxy device. Please download the latest version of Samsung Kies. I used pc suit/kies but in the kies the left column there is no Contacts tab to click. (Your step:6) what could be the problem. You can try Wondershare MobileTrans to transfer all contacts from Nokia to Samsung. I used the nokia pc suite and samsung kies method, but contact names were transferred without mobile numbers so what is the solution for this? Did you forget where you saved the Nokia contacts? Well, you must find the contacts, then you can import them. in kies dialog box contacts is not showing.. how to import contacts frm nokia phone? Well, MobileTrans will transfer the contacts in the group, but the group info will not be transferred. does the grouping of the contacts in Nokia is also transferred ? Yes, of course. Just download MobileTrans and try it. Does this work to transfer contacts from Nokia 6300 to Samsung galaxy S3 ?